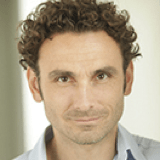 Systemic Enzymes vs. Digestive Enzymes: Which Do You Really Need? When most people think of enzymes, they typically are thinking of digestive enzymes, which convert the food you eat into small molecules that your body uses as fuel. Amylase is an example of a digestive enzyme that breaks down starch; protease, also known as proteolytic enzymes, is a name for multiple enzymes that break down protein and much more, and lipase is an enzyme that breaks down fats. Other enzymes, such as maltase and lactase, help to convert certain sugars into glucose while an enzyme known as renin helps you to digest proteins specifically found in milk. There are also metabolic enzymes, which exist inside your cells, where they work to keep your cells, tissues and organs functioning. Metabolic enzymes are involved in such important biological processes as keeping your heart beating, building bones and healing wounds. Digestive enzymes are very useful, especially if you suffer from regular gas, bloating, abdominal pain, heartburn or other signs of trouble with digestion. Taking them orally may also help you from becoming deficient and straining your digestive system. But be aware that their benefits are limited to your gastrointestinal (GI) tract. Digestive enzymes do not survive well in your stomach acid (although giving them an enteric coating can help), so after being used for digestion they will provide little other benefit. “The histological, radiological, biochemical (chromatographical, enzymological), immunological and biological methods have convincingly proven that a part of swallowed enzymes may pass the intestinal barrier in an undamaged macromolecular form and realize their activities in the body. The most important elements able to absorb macromolecules seem to be so called “M-cells” (FAE) which cover lymphoid foci of the organized gut lymphoid tissue. Heart Disease: Elevated levels of C-reactive protein (CRP), a marker of inflammation in your body, are associated with an increased risk of heart disease. 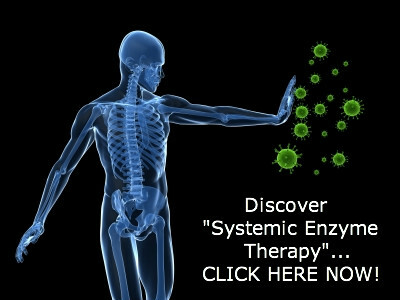 Systemic enzymes have an unsurpassed ability to fight chronic inflammation. Interestingly, elevated C-reactive protein also correlates with high levels of certain bacteria,[vii] as it’s thought one of its functions is to stop the spread of bacteria. Certain infectious agents have also been linked to heart disease. “Systemic oral enzymes have been shown over the last 30 years or more, in both research studies and in clinical practice, to be effective anti-inflammatory and immune-stimulating agents which have applications in a wide array of health problems ranging from sports injuries to cancer. Proteolytic enzymes are naturally produced in your pancreas, but your natural production declines with age; these inflammation-busters become largely depleted as you hit 40 and over. In fact, a newborn baby has 100 times more enzymes than an elderly person, and even a 20-year-old has double the enzyme levels of a 70-year-old. If you have blood-clotting disorders, chronic fatigue, high cholesterol, obesity or other chronic health ailments or even grey hair, these could be signs that you’re already enzyme deficient. Today’s Most Powerful Proteolytic Enzyme Combination: We’ve combined the incredible systemic enzymes Protease AM, Protease 6.0 and Alkaline Protease … Bromelain and Papain to give you the most powerful pain-fighting effects! No Label ‘Slight of Hand’: Most supplements don’t list the exact concentrations on their labels… because they want to hide the fact that they’re RIPPING YOU OFF! As you can see here… you get to see the entire label… with ALL ingredients and ALL concentrations of each ingredient — because we have nothing to hide. The Only Truly All-Natural Proteolytic Enzyme Formulation — Available with no dangerous fillers or preservatives! 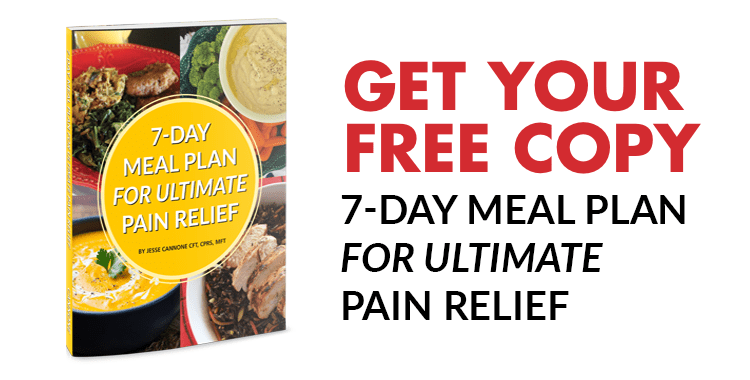 This pain-reducing miracle was made for the pain sufferer who wants to get rid of their pain without adding mystery chemicals into their body, although it’s also effective for so much more. Remember, if you’re past your 20s, your supply of proteolytic enzymes is likely not what it used to be; if you’re past 40, there’s a good chance you’re already deficient. Taking a systemic proteolytic enzyme supplement is therefore a very smart move, and the choice for the best enzyme supplement is clear with Heal-n-Soothe®. [v] Cas Lek Cesk. 1995 Oct 4;134(19):615-9. [vii] Am J Emerg Med. 2013 Jan;31(1):137-44. I constantly have pain. I’m constantly in pain all the time. We are sorry to hear you are in pain. You may find our back pain book helpful and you can get a free copy using the link below. It has information to help you regarding the back, pain relief strategies, information about various possible treatment options and other useful tips. We do hope you find it useful.